Hear! All There is to Hear!! Yue Sheng Electronics Co., Ltd.
1. 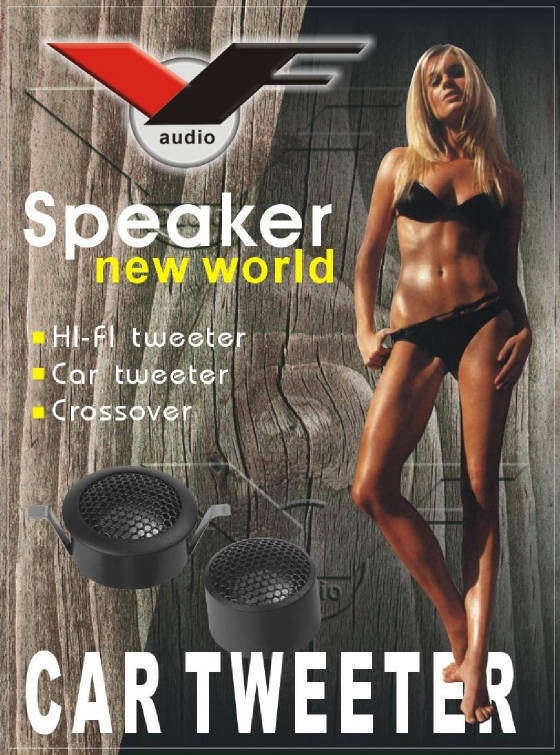 Tweeters for Coaxial & Components Kits Car Speaker . 3. Other kinds of Speakers. 4. Speaker Parts: Frame, Conepaper, T-yoke ... etc. During last 10 years, our products have been selling to the customers with highly reputations. For many years' experience, we have the confidence and ability to satisfy the customers' requirements and special designs. So, if you have any interesting in our products, please feel free to contact us and we will do our utmost to offer the best services to you. We assure you that your any action will receive our prompt and careful attention.